A man has appeared in court charged with murdering his wife who was found fatally injured at her home near Bristol. 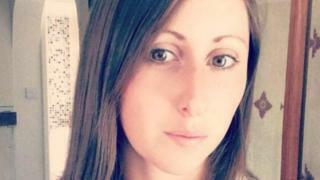 Claire Tavener, 27, was discovered at a house in Brendon Gardens in Nailsea on 8 January. A post-mortem examination confirmed she died from multiple stab wounds. Andrew Tavener, 45, of Brendon Gardens, appeared before Bristol magistrates and was remanded in custody to face Bristol Crown Court on Monday.